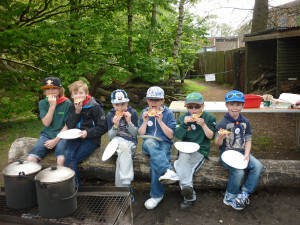 Northern Norwich Scout District held two brilliant back-to-back activity days for cubs on 9th & 10th May 2015 at the 1st Drayton Scout HQ. 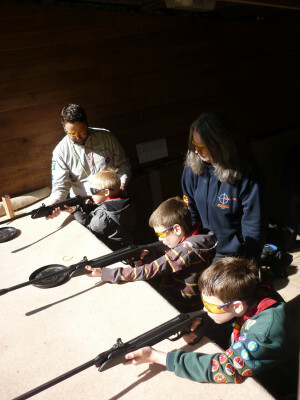 All the 120 cubs from packs across the district took park in no less than 10 different exciting activities; air rifle shooting, archery, catapults, backwoods cooking, tent erecting, mini pioneering, rope making, geo caching plus two team building activities – tower building and helicopters. As there was so much to pack in, everyone was on the go from start to finish apart from a very brief lunch break but the cubs all had a fantastic time and most were grinning from ear to ear all day long! Of course none of this would have happened without the invaluable support of leaders from different groups and sections, with over 40 adults helping either on one or other day or indeed the whole weekend! Despite being on the go all day the leaders found time for some networking over a coffee to meet new friends and share ideas. As a result several joint meetings and events between packs are already in the pipeline for the weeks ahead. Take a look at all of the pictures from the day in the photo gallery.